Satanta’s (often misspelled as Santana) name actually was Set-tainte, which means White Bear Person. One of the leading Kiowa chiefs in the 1860s and ’70s, Satanta was a fearsome warrior, but also a skilled orator and diplomat. Satanta negotiated numerous times with the American government and signed such treaties as the Little Arkansas (1865) and Medicine Lodge (1867). He fought a protracted war to protect his tribe’s land before settlers, miners and others finally overwhelmed it. Satanta was born in 1830, somewhere on Kiowa lands, probably in what is now Kansas or Oklahoma. He was the son of Red Tepee, keeper of the Tai-me (Kiowa medicine bundles). Those days were the zenith of Plains Indianpower and cultural flowering ~ez_mdash~ the last of the free days. During his boyhood, Satanta was called Guatonbain (Big Ribs). The buffalo supplied food, clothing, and hides for the Kiowa teepees. For untold generations, the Plains natives had hunted the tatonka, taking just enough animals to live. With the white man’s invasion, settlers crossed Kiowa lands unrestricted and indiscriminately killed the bison. They hunted the buffalo just for their hides, killing entire herds and leaving vast areas of grassland littered with the rotting flesh of hundreds of animals. The slaughter also served as a weapon against the Plains Indians, used by the government and military, to starve them into submission as a first step toward the near-genocide and subjugation of a free people. In the 1860s and 1870s, the Kiowa waged ongoing resistance to protect their land and way of life. Even as they sought peace at the treaty table, white soldiers went out and slaughtered the buffalo for sport. The fate of the Plains natives, whether they were Lakota (Sioux), Arapaho, Comanche, or Kiowa, was the same. The white soldiers increasingly swept them up and relegated them to small, hardscrabble reservations. The government tried to ensure that the Indians would remain on the worthless land by increasingly killing off the remaining buffalo and forcing the proud Indian nations to become dependent on government handouts. Satanta was entrusted with a war shield when he was still a young man, which he used while raiding in Texas and Mexico. Satanta did his best to stem the loss of life, freedom, and sovereignty of his Kiowa brethren, and proved willing to use diplomacy. When negotiating with the Europeans did not work, he was not afraid to use warfare as means to secure his ends. During the early days of the Civil War, Satanta conducted numerous raids along the Santa Fe Trail. He developed a reputation as an outstanding warrior, and in his twenties, became a chief. Promotion to the position took place according to the traditional values of the warrior nations: courage in battle and deep-seated devotion to the Kiowa nation. Satanta led his Kiowa warriors in raids on the Cheyenne and Ute nations, even extending his forays into Texas and Mexico. 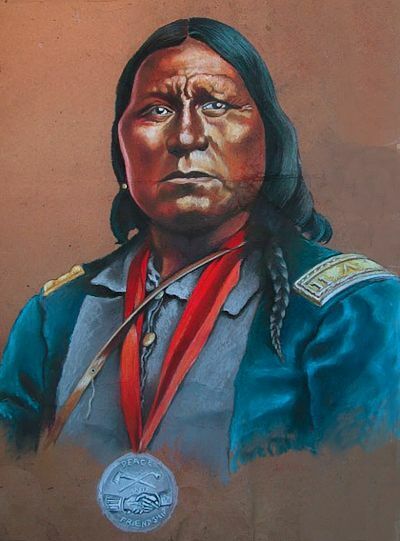 By the 1860s, Satanta, like Chief Lone Wolf (Guipago) and Chief Kicking Bird (Teneangope), had risen to a position of leadership among the Kiowa. At that time, the principal Kiowa chief was Chief Dohäsan (Little Mountain). In 1865, Satanta participated, along with those men, in the negotiations that led to the Treaty of the Little Arkansas River. Like most treaties of its type, the agreement failed to ensure peace on the frontier. 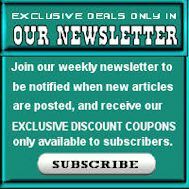 The Native Americans viewed that treaty, like all the treaties with the soldiers, as just another attempt to pacify Native Americans while continuing to appropriate their lands. At the time, General William T. Sherman was commander of the U.S. forces in the West; he detested the Indians and treated them accordingly. His field subordinates were General Philip Sheridan and Lt. Colonel George A. Custer. The raids that Satanta led, in response to the army’s predations and the federal government~ez_rsquo~s actions, won him even more recognition. The wasichu continued to flood across Kiowa lands, and tribesmen, unhappy with the provision that reduced their domain to a small reservation, continued to raid settlements and harass settlers. The unstable situation worsened significantly with Dohäsan’s death in 1866. He had been a strong chief and maintained the closeness of the Kiowa clans for many years. With Dohäsan gone, Kiowa unity dissolved. Several subchiefs competed to fill the void, including Satanta, who favored armed resistance, Chief Lone Wolf (Guipago) and Chief Kicking Bird (Tene-angopte) who favored peace. Their fierce competition to prove who would best replace Chief Dohäsan, set off a wave of raids against the U.S. Army and white settlers across the southern plains during the fall of 1866 and into 1867. 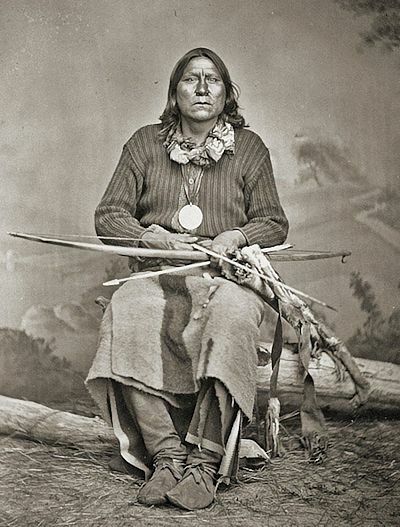 Satanta’s exploits gained him prestige, and he was made one of the tribe’s representatives at the Medicine Lodge Treaty council in October 1867. The area called Medicine Lodge was located in Kansas, where the Medicine River and Elm Creek join. More than 5,000 Indians – Kiowa, Comanche, Kiowa Apache, Cheyenne, and Arapaho – attended the meeting. The 7th Calvary was on hand to protect the white negotiators. Although Satanta agreed that Kiowas should live on reservations, the natives delayed the relocation, so Colonel Custer kept Satanta as a hostage until the tribe completed the move. The treaty was signed in October, but did not last. As the deluge of settlers into their lands continued, the Kiowa resumed their raids. General Sheridan was ordered to devise a plan to break the Kiowas’ will. Sheridan’s winter campaign of persecution in 1868-1869 was brutal and bloody. The U.S. military under Colonel Custer not only killed warriors, but also women and children, and destroyed native horses and homes. Demoralized by Custer’s indiscriminate tactics, Satanta and Guipago decided to surrender. The two chiefs approached the colonel on December 17, under a flag of truce, to discuss surrender. Custer ignored the truce and arrested the two chiefs. For the following three months, Custer tried to get permission to hang them. In early 1869, they were freed, owing to the efforts of Tene-angopte, who promised that the Kiowa would quit raiding and return to the reservation. In 1871, Satanta, with assistance from Chief Big Tree (Adoeete) and Chief Satank (Sitting Bear), led a large party of Kiowas off the reservation, then joined forces with a Comanche party, ostensibly to hunt buffalo in Texas. They spotted a wagon train traveling along the Butterfield Trail. Hoping to steal guns and ammunition, the warriors attacked the 10 freight trains and killed seven teamsters. The warriors let the remaining drivers escape while they looted the wagons. Upon their return to the reservation, the Indian agent, informed about the Texas raid, asked if any of his Indians had participated. Amazingly, Satanta announced that he had led the raid, and that their poor treatment on the reservation justified it. Shocked, the agent turned them over to General Sheridan, who sent the three chiefs to Jacksboro, Texas, on June 8, 1871. They would stand trial for murder. On the way to Jacksboro, Satank, an elder of the Koitsenko and Crazy Dog warrior societies, was killed while attacking a guard. Satanta and Adoeete were convicted of murder and sentenced to hang. At his trial, Satanta warned what might happen if he were hanged. Edmund J. Davis, governor of Texas, fearful that the Kiowa would never let the death of Satanta go unanswered, commuted his and Adoette’s sentences to life imprisonment. Transferred to the prison at Huntsville, Texas, Satanta and Adoeete remained there for two years. Following their conviction, government agents promised the Kiowa people that if they played good Indian, the two would be released. For two years, the Kiowa remained on the reservation and caused no problems. Governor Davis, pressured by federal agents to parole Chief Satanta and Adoeete, released them on August 19, 1873. In response to perceived maltreatment by the government and its agents, the Kiowa and Comanche resumed their armed resistance. Settlers in Oklahoma and the Texas panhandle fell under constant harassment by those armed parties as the Kiowa and Comanche tried to stop the slaughter of the tatonka (Buffalo). Like all early Native Americans, Satanta witnessed and lived through the defeat and near-extermination of the Native American way of life, and the imprisonment on reservations at the hands of the white man. After he removed himself as war chief, owing to age and health problems, Satanta’s council continued to be viable. 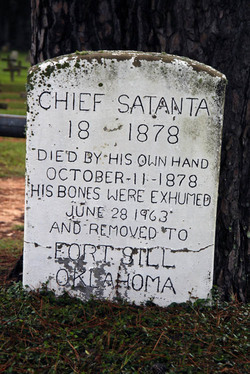 Even in retirement, Satanta was often present to assist during attacks by federal soldiers. Satanta, along with Chief Adoeete, was again taken into custody and imprisoned for violating their parole. Chief Adoeete was held in the guardhouse at Fort Sill while Chief Satanta was returned to the Huntsville State Prison on September 17, 1874. Satanta never again stepped out of that prison. He died on October 11, 1878, in an escape attempt, by jumping out of a second-story window of the prison hospital. He was interred in the prison cemetery until 1963, when permission was granted to remove his remains and rebury them at Fort Sill, next to his friend and wartime companion Satank.